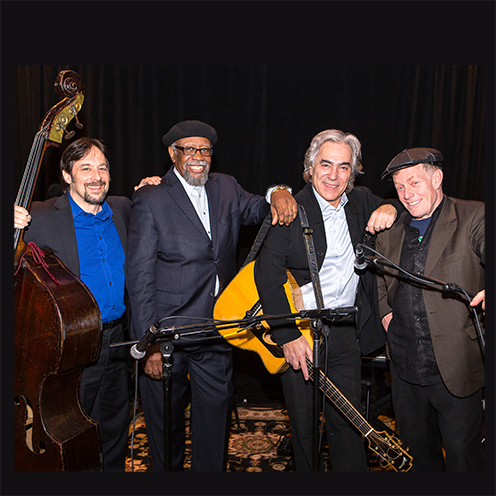 The Empire Roots All Stars Band features a line-up of New York’s most celebrated blues/ roots artists: Woody Mann (guitar), Dave Keyes (piano), Bill Sims Jr. (Vocals) and Brian Glassman (bass). Empire Roots consists of America’s top ambassadors of roots music, performing and recording with the most important artists from the blues, folk and jazz worlds. Coming together for the first time as the feature group for the film Harlem Street Singer, which tells the story of Reverend Gary Davis, the band celebrates the music of the Reverend with new interpretations of his classic blues and gospel repertoire plus their own original material.